Ghost Giant is an adorable adventure title from Zoink Games, makers of Fe, that was announced during E3 2018. Apart from event previews, little about the PlayStation VR game has been teased since then. Fortunately, new information has surfaced, which includes details about the game’s coming release. Ghost Giant will hit the PSVR sometime in Spring 2019. In addition, a physical release is planned for Europe with publisher Perp Games. 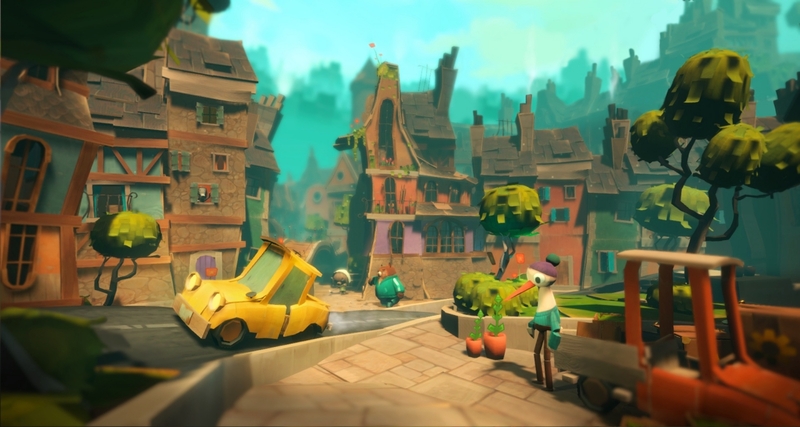 In Ghost Giant, players take on the role of a giant ghost in the world of Sancourt. There, the Ghost Giant befriends a little boy named Louis, the only person able to see the giant. Louis’ feelings of isolation means players will have to be careful in how they gain his trust. This will include a variety of tasks where the Ghost Giant must help Louis with problems both large and small. Ghost Giant’s emphasis on the power of friendship won’t exclusively receive exploration through the giant’s bond with Louis. Other residents of Sancourt will require the giant’s attention, allowing players to fully explore the world that Zoink has said is similar to a doll house. Apparently, this will most notably be evident in how the world is manipulated. But the studio has ventured beyond that, wanting players to also feel as though they are participants in the happenings of Sancourt. A specific release date has yet to be given.